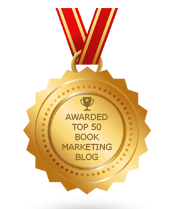 BookMarketingBuzzBlog: Is Your Business Card Costing You Business? The public relations firm that I work for, MEDIA CONNECT, is a division of Finn Partners, a Ruder Finn Co. We recently renamed ourselves (formerly Planned Television Arts) upon celebrating our 50th anniversary this past month. As part of our new branding efforts, it was decided that our business cards would include our individual photo on the back, spanning the full size of the card. Surprisingly, our staff was split over the idea. Some felt a business card shouldn’t have photos. After all, we are not a real estate business! Others, like myself, felt it was a nice touch. We are in the people business and a personal feel is important. Besides, who can be in PR and be shy? People see our faces all over the place—on our Web site and on one’s social media profiles and pages, etc. I don’t get too many business cards that contain photos—and I collect a lot of cards. But I think most people don’t think of putting a photo on or don’t want to lay out extra money to do so. I see it as an advantage to have my photo on there, but perhaps if one has concerns about their looks, age, or that one will see their demographic makeup from viewing their photo, they should avoid the photo thing. If you’re in the Witness Protection Program, don’t put your photo on the card. · Ones with airbrushed photos or outdated Glamour Shots are tacky. · Oversized cards are dumb—if I can’t put it in my wallet, it goes in the garbage. · Cards that lack key information such as Web site, email address, or phone (do you want me to contact you or not?). · Cards with too much information—three cell numbers, four websites, and a bunch of Facebook pages (no one is checking out all this crap). · When the card is not easily readable—small font, distracting background, not enough white space. · When the card is too thin and flimsy—if it feels light you’re a lightweight. · When the card lacks texture, raised printing, or color—cheap and boring. · Gimmicky attempts to desperately convey an image that is not consistent with who you really are. · People who cross out information or cover it with a label—how lazy are you? I once was contacted by a vender about creating 3D cards with photos. What’s next -- a halogram? Cards can have slogans as long as they don’t sound like a Chinese fortune cookie saying. Some think they don’t need them, that paper cards are as fashionable as owning a printed encyclopedia. But no matter how green or cool you hope to be, you still need a business card. · The firmness of their handshake. · If they look you in the eye when talking. · If they sound genuine—or genuine bullshitters. · The harmony of their voice. · If they are attractive. · Their sense of humor. · Their overall trustworthiness vibe. · If you feel a connection. It remains to be seen what the book publishing landscape will look like in the future. 1. As a children’s book author, what do you make of the new publishing landscape? My first book for children was published way back in 1998, so I’ve had a chance to see all sorts of changes, large and small. The impact of the ‘Harry Potter’ series on children’s publishing was huge. Before that, children’s books were not in general thought of in terms of best sellers that could be lucrative franchises, or would be read by adults as well as kids. Now the bar has been set very high for children’s book titles, in terms of sales figures, sub-rights potential, and becoming a product that can be offered to consumers as movies, games, or apps for mobile devices. When you add in the elimination of smaller presses over the years---or their absorption into a larger media conglomerate---you can see how heightened sales expectations and fewer publication slots has made the field far more competitive than it had been. The biggest creative challenge right now is how will authors adapt their working styles to the needs of the emerging digital publishing marketplace. It’s all storytelling, but the storyteller must adjust to fit the new formats and how today’s reader processes information. 2. What advice do you have for struggling authors? First, get used to struggling---whether it’s your first book or you’ve been published many times, each project you send out to the world will have its share of struggles before success. It’s all part of the process. Don’t forget to celebrate small victories along the way to that big book deal: the better-than-average rejection, the encouraging notes from a critique partner, the story or poem that won a local competition. Work on your craft every time you sit at the keyboard. You’re your first reader, so why not craft prose that will knock your socks off? 3. What is your newest book about? My upcoming picture book, MOLLY, BY GOLLY!, is a re-telling of the legend of Molly Williams, who is said to be the first known female firefighter, according to firefighting lore. It is illustrated by Kathleen Kemly, and will be published in September 2012 by Calkins Creek/Boyds Mills Press. 4. What inspired you to write it? I was doing research on historical firefighting methods for another historical fiction book and kept running into Molly’s legend. I loved the spirit of volunteerism and bravery within her tale. 5. What do you love most about the process of writing for kids? Pretty much everything: the challenge of making each word count… the joy of creating wordplay that kids will love…the emphasis on action…the freedom to be silly sometimes. 6. What makes for a great children’s writer? The ability to allow yourself to think and feel again as the young characters in your story, rather than the adult whom you are now, is the key to creating successful stories for young readers. the necessity to make all these story elements age-appropriate, intellectually and emotionally, for a child or teen---and the storyline or topic is one that is of genuine interest to the age of the intended reader---well, then you have the challenge of writing for young people in a nutshell. It’s one of the most complex, and satisfyingly joyful, writing I’ve ever had the privilege to do. My friend Sheli introduced me to your blog and I have enjoyed reading through some of your past posts. I produce web video and specialize in book video trailers. However I am also the author of "Turn Your Business Card Into Business" and your business card article is "spot on." You have essentially said in on blog post what I took 250 pages to say. Looking forward to more good stuff. I have one question if we are going to change our company name or address present on business card do we need to change our older card but the problem is people have older card? Lovely article. I am sure to bookmark it. Very interesting. Looking forward for your posts. Welcome to Modern Corporate Business Card . Modern Corporate Business Card for almost any kind of company, or even personal use. All text layers can be changed with one click. All objects can be resized without any quality loss (shapes). I you are worried with the quality of printing from your printer try to change Ink and Cartridge every month and use branded toner for it may be your printer give you the required result just try it. I was searching for some best sources for best quality business cards. It seems like you have something special in terms of business cards designs and online sources. please let me know when you will share other sources?